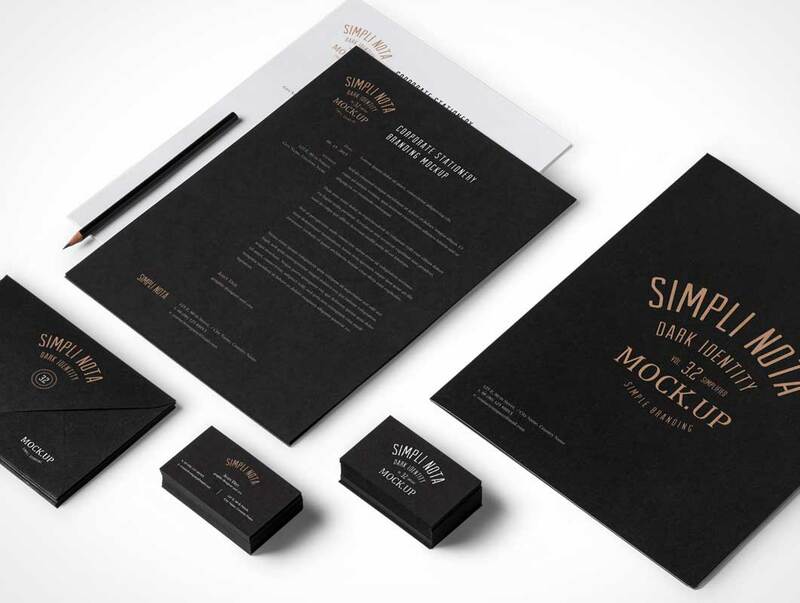 This is the simplified psd stationery identity kit version of our 3.x dark themed branding mockup series. It includes all the essential elements and a new high resolution floor texture background to help you showcase your next brand design project. UPDATE: You can now move and hide any element at will.